One of the most common and most noticeable symptoms of tonsil stones is bad breath (or halitosis if you want to be fancy). In this post, I’ve outlined which I think are the best ways to treat halitosis so you can prevent this situation from ever occurring. Halitosis is something that can be very crippling and can cause a lot of distress to those affected. In most cases, the smell is so strong that others can notice it, which usually results in demeaning comments. As bad and as hurtful as this can be, there isn’t much you can do about others expressing their opinions. But there are many things you can do about your bad breath, and I don’t just mean removing the tonsil stones. ACV has been known to have many health benefits but its antibacterial and probiotic properties are what we are concerned with here. They make ACV very effective at fighting off the sulfur-producing bacteria hidden around your tongue. This bacteria causes the growth of the stones in your tonsils which then causes your bad breath. Therefore by removing it from your mouth, you’ll be preventing your bad breath. What you do is mix 1-2 tablespoons of ACV with 8 ounces of cold clean water, take a sip and tilt your head back. Swirl it around for a good 15 seconds and make sure it reaches your tonsils (for full effect). Spit it out and repeat with the rest of the glass. If you have a severe case of halitosis then you can do this a few times per day, but otherwise just once per day is just fine. In order to get rid of this sulfur producing bacteria, you can’t use any old mouthwash. Most may help a little but they won’t be as effective as this particular type. You need to get a mouthwash that contains Zinc compounds and Chlorine Dioxide. These ingredients will fight off the sulfur-producing bacteria, making it less likely for tonsil stones and your bad breath to develop. It will probably differ for each brand but follow the instructions on the label for usage per day. In most cases, you’ll be told twice per day for 30 seconds so I would do so before you leave for work in the morning and maybe after lunch. I’d imagine you’re most likely to experience social situations at these times so that’s when the mouthwash will be most useful. But if you’d rather use it at other times then feel free, just make sure to follow instructions. From what I’ve seen and read, combining this with good brushing/flossing habits is how you get rid of tonsil stones permanently. Also, make sure the mouthwash does not contain any alcohol either as it causes dehydration. This is bad for many things but what we’re concerned about is that it forces your salvia levels to drop. Your salvia is what controls the bacterial and fungal activity in your mouth so if it’s running low then the likelihood of tonsil stones developing increases. Which, therefore, makes it more likely for halitosis to develop as a knock-on-effect. 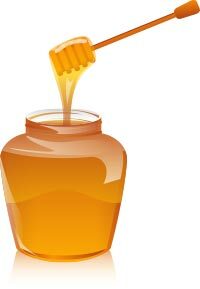 As strange as it sounds, rubbing honey on your tonsils can help kill off some bacteria. Which makes it much less likely for the stones to develop. Just put some in a bowl and begin rubbing it on your tonsils, you’ll probably need to use a q-tip to prevent gaging. Keep the honey on as long as possible and try your best not to consume it. To get it off, clean out your mouth with clean water. For this method to work you need to do it daily, it’s unlikely that you’ll notice much difference with just one use. So it’ll take a little effort to get going but it’s still really effective. As with choosing a mouthwash, not all oral probiotics are appropriate for treating halitosis. You need to get one that contains S. Salivarius K12 as this particular probiotic will introduce good bacteria to your mouth. So not only will you fight off the bad bacteria, you could also experience oral health benefits such as cleaner teeth and gums, and fewer infections. So even though this method could be a little more expensive than the others, it could be much more worthwhile. Again, make sure you follow the instructions on the bottle. I’d imagine, like the mouthwash, usage is different for each brand so make sure you stay on the safe side. Now all of these methods are all very effective but they will only give you momentary relief. If you want permanent relief then you need to focus on the underlying problem – the development of tonsil stones. Only by doing so will you stop experiencing any symptoms caused by their growth, not just bad breath.